The Sony Z9D uses the company's Backlight Master Drive technology to provide over 500 dimmable zones on the panel. This makes for a very good television to buy, for those who can afford it. At Rs. 5,04,900, it's not a TV that just anyone can buy, but it's a step into the future of LCD TV panels. We’ve reviewed a bunch of Sony televisions this year. But it seems the company was saving the best for last. The Sony Z9D sits pretty atop the company’s current Indian portfolio, and it has all the features one can hope for, at a whopping Rs. 5,04,900. The price is steep of course, but this TV is about showcasing new technology. Sony’s backlight master drive technology, also known as Focused Lightbeam, is a step in auto-dimming. 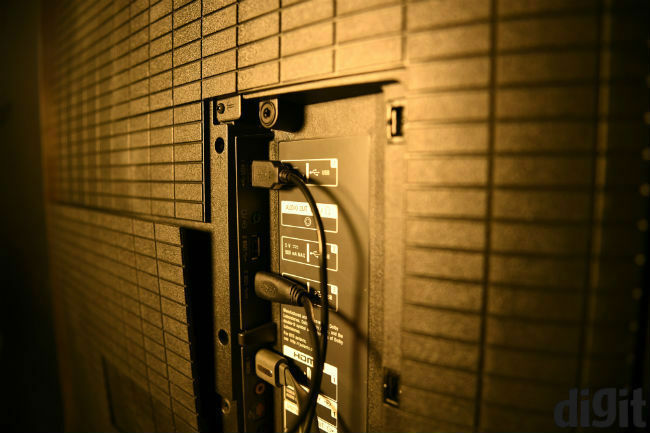 It allows individual control over the LEDs in the backlight array, allowing the TV to have over 500 dimmable zones. What’s the result? We found out in our review. Using the backlight master drive has made this TV thicker, but we’re not complaining. Sony has been really clever with the design. There’s a thick joint-like line running along the sides of the TV. This also makes it look like the back and front are stuck together. Combined with the grid-like design on the back, it makes for a very unique looking TV. However, this isn’t one of those thin televisions we are used to in the premium range. 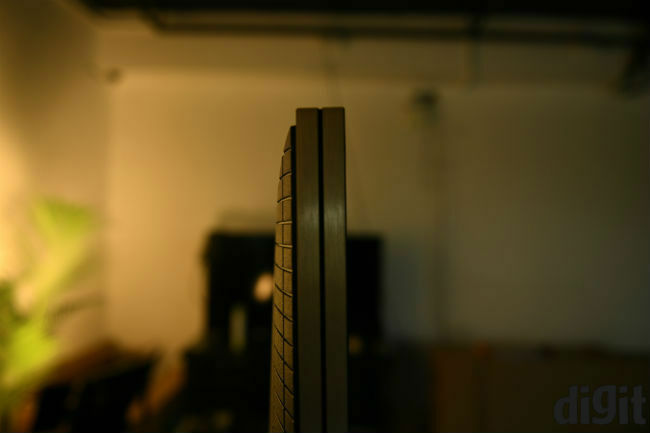 The backlights rest behind the LCD panel, increasing the overall thickness. Still, we think Sony has been able to create a pretty attractive television and the design looks seamless. If you’ve read any Sony TV review before, you’ll know the company has its own take on the Android TV remote. You’ll find the standard remote in the box, with an integrated voice icons, and a dedicated Netflix button (one of the key requirements for a Netflix recommended television). You also get a Google Play button, and Sony has added a new Discover key, which does exactly what the name suggests. The ports all rest on the back, with the important HDMI and USB ports facing sideways, instead of downwards. You will, however, have to remove one of the panels from the back to reveal three of the HDMI ports and component ports. Other Connectivity: Google Cast, Screen Mirroring etc. 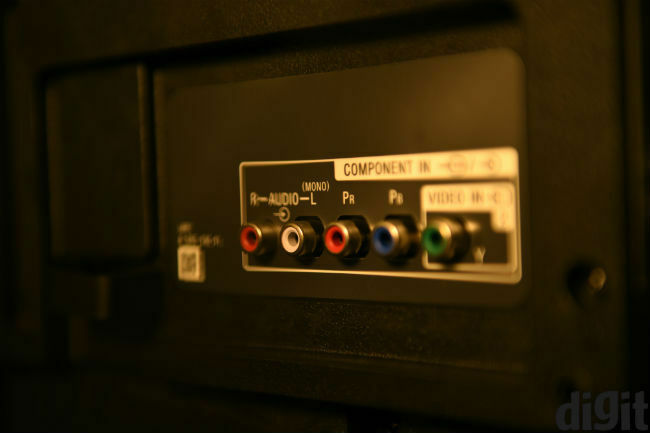 As with the Sony X9350D, the HDMI ports on the Z9D are also HDCP 2.2 compliant. This means your devices also need to be compliant with the same standard. Much like OLEDs, focused lightbeam technology is also meant to improve contrast on your television. The extra dimming zones theoretically improve black levels, while also increasing the white point. With the TV on Standard picture mode, and a reasonably lit room, the contrast ratio comes out to 1110:1 at 50% brightness. This is one of the highest readings we’ve got so far. In addition, the white point rests at 6300K, which again is very close to ideal. However, the Sony Z9D’s strengths aren’t in its black levels. Rather, the TV excels in other colours. The colour space is quite wide, and colours look natural, yet punchy and vibrant. Watching Narcos at 1080p, the noise reduction engine kicks in, and presents a very pleasant experience. This will only be enhanced by video that is shot in HDR, since blacks and whites will also be better. To be clear, the Sony Z9D is no slouch in terms of black and white levels. It’s just that the colours take your attention away from everything else. Sony has made some advancements in TV audio recently. The Sony X9350D we reviewed recently, is meant specifically for better sound. The Z9D doesn’t have the same design, but one wonders whether its thickness couldn’t have allowed for even better audio. Nevertheless, the Z9D has two 10W speakers fitted on it, and it’ll work for most small and medium rooms. You may have to keep the TV on high volume in the larger rooms, but audio is quite clear and dialogues are easy to discern. It’s not quite meant for music, though. That leaves us with the interface, and Sony seems to have made some much needed progress here. 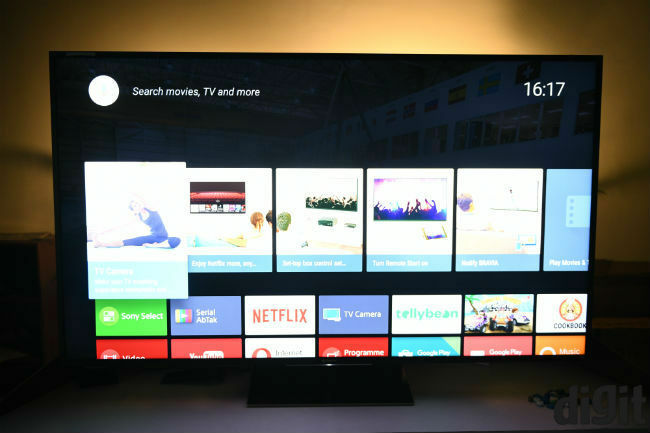 Android TV is faster this time, and though there’s room for improvement, the entire UI feels much smoother. You’ll still have to face long wait times when opening big folders from external devices. 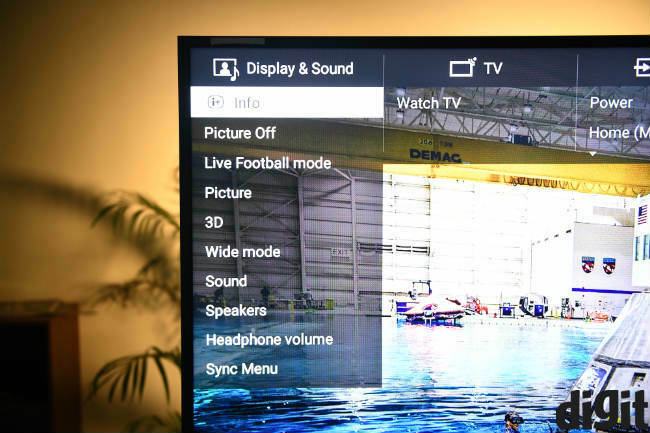 Sony has also added a Discover menu to help you find content to watch easily. Apart from that, there’s nothing different here that other Android TV-powered televisions do not offer. Even Sony’s own. To sum up, the Sony Z9D is the best premium television we reviewed this year. It excels in picture quality, generating natural and vibrant colours, and audio quality is also decent. Sony’s Backlight Master Drive technology seems to be the right step forward, and does indeed bring LCDs closer to OLED quality. If you can afford this TV, it’s definitely one we recommend. Sony Bravia LED TV KD-43X8500C with 4K tech or KDL-43W950C with 3D feature?? 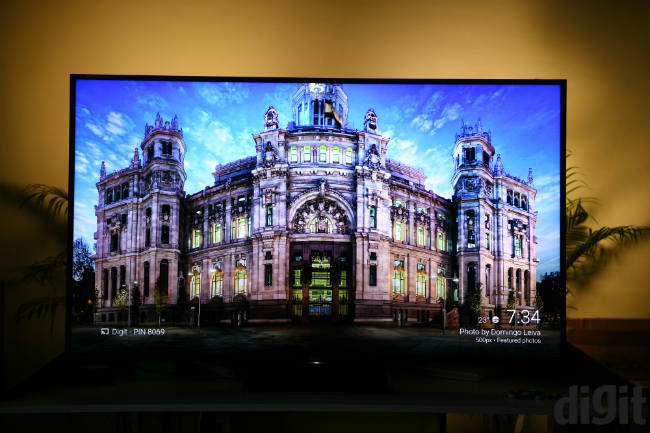 Which is the best 4k television?Is curved tv a better option than 4k ?